A driver drove his £250,000 Lamborghini into a tree. 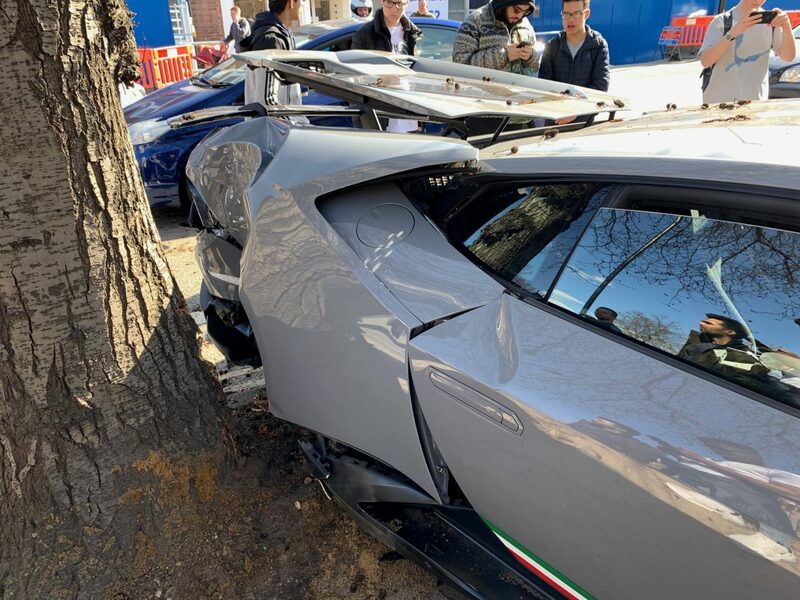 Spectators watched in horror as the Huracan Performante spun out of control, mounted the curb and crashed into the tree, before sliding into a brick wall. 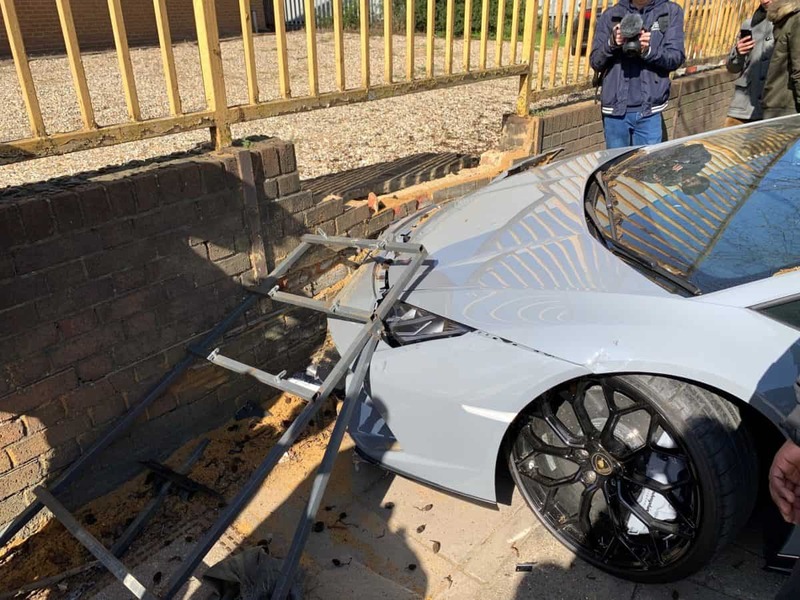 The driver was thought to miraculously escaped unscathed after he slammed into a brick wall, obliterating his grey supercar. But he was seen sobbing at the side of the road after his costly mistake at the HR Owen Supercar Sunday event in Acton, West London, yesterday (Sun). A spectator, who asked not to be named, heard the crash from a nearby street at around 13.30. He said: “As soon as I heard it, I rushed over to where it happened. “I was worried anyone had been injured and went to check that all was okay or not. “The crowd were loving the cars making noise and driving away fast from the event, but everyone seemed shocked and sad to see the crash. “I did not see the driver leave the car – there was nobody in it by the time I had reached there. A video on Twitter shows the grey supercar lining up next to an apple green Lamborghini on a residential street. The driver then sped along the road, lined with cars, and lost control in a bid to dodge oncoming traffic. The bonnet was crushed and the boot was completely obliterated after he slammed into a tree, which looks liked it prevented the car from flipping, before spinning into the wall. Spectators watched in shock as the mangled car, which is one of the world’s fastest production cars, was lifted onto a recovery vehicle. Supercar fans took to Twitter and slammed the driver’s “shocking behaviour” who was believed to be particiapting in a drag race. Steven McCarthy tweeted: “Shocking behaviour. We all love seeing the experience of a supercar open up a bit, but on a public road with idiots behind the wheel, thank goodness nobody seems to have been hurt.